Mahinda Rajapakse, left, looks on during a parliament session after he was appointed the leader of the opposition in Colombo yesterday. 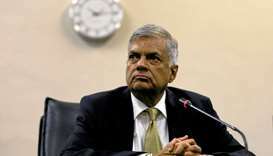 Three lawmakers from Sri Lankan President Maithripala Sirisena’s party defected to the government of Prime Minister Ranil Wickremesinghe yesterday after a dispute between the two leaders. The island nation was plunged into crisis in October after Sirisena replaced Wickremesinghe with ex-president Mahinda Rajapakse, without the backing of parliament, leading to protests and downgrades of Sri Lanka’s debt. Rajapakse, best known for crushing a long-running insurgency in the north of the country and drawing Sri Lanka closer to China, failed to win a parliamentary majority and resigned on Saturday as a government shutdown loomed. 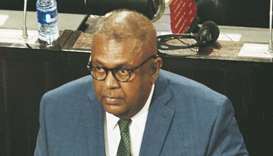 “We joined the government... as the party and the country have been dragged into a difficult position,” Vijith Wijayamuni Soysa, one of the three lawmakers told parliament. On Thursday Sri Lanka’s Supreme Court ruled that Sirisena’s decision to dissolve parliament before the end of its term was unconstitutional, a judgement that eventually led to the return of Wickremesinghe as prime minister. Jayasuriya yesterday amid a row. 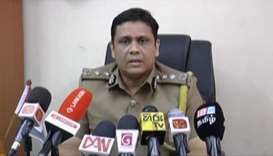 Jayasuriya said since President Sirisena’s United People’s Freedom Alliance is the largest opposition party, he recognised Rajapakse as the leader of the opposition even as the ruling United National party (UNP) and the Tamil National Alliance (TNA) objected to the decision. 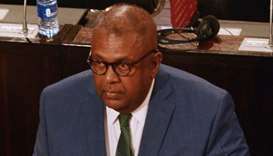 TNA lawmaker M A Sumanthiran said Rajapakse could not be appointed as he had resigned from the United People’s Freedom Alliance and joined the Sri Lanka Podujana Peramuna. 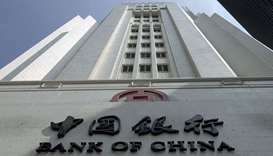 He urged the speaker to appoint a committee to probe Rajapakse’s appointment. 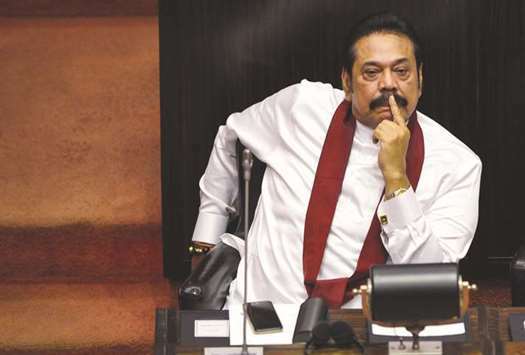 Rajapakse returned to parliament in 2015 as an ordinary member of parliament, an office he had held for decades before becoming president for two consecutive terms from 2005 until 2015.